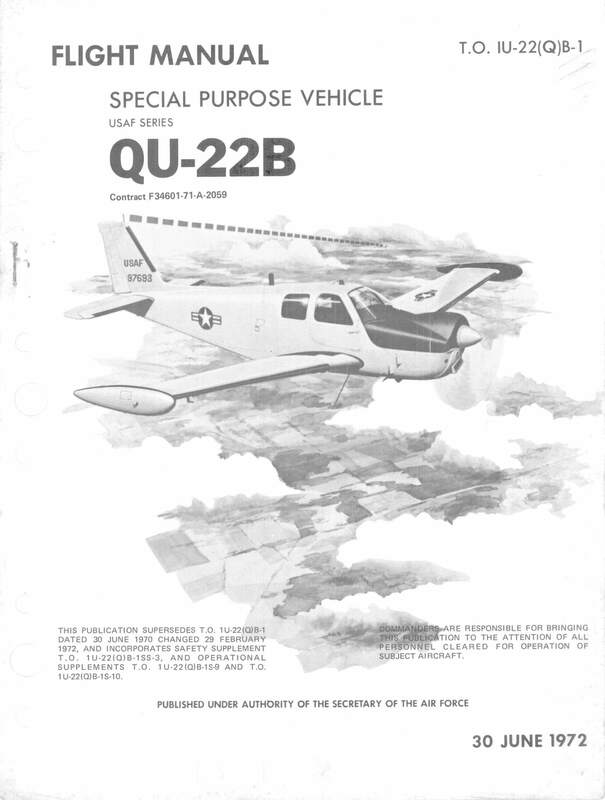 The QU-22B was developed from the Beechcraft Model 36 Bonanza as a remote-control relay vehicle. It was intended as an unmanned drone to collect signals from ground sensors placed along the Ho Chi Minh trail in Vietnam. Equipment unreliability meant the aircraft was always flown by a safety pilot. 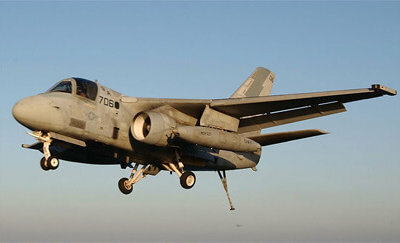 18 were converted but several losses from accidents caused the USAF to cancel the program. The aircraft used a geared Continental engine and it is popularly assumed the distinctive engine hump is the reduction gearbox, but it is in fact an additional AC Generator to power the on-board electronic equipment. To maximise value, this title contains the flight manual for both the QU-22B and another unusual aircraft developed especially for service in Vietnam, the YO-3A. 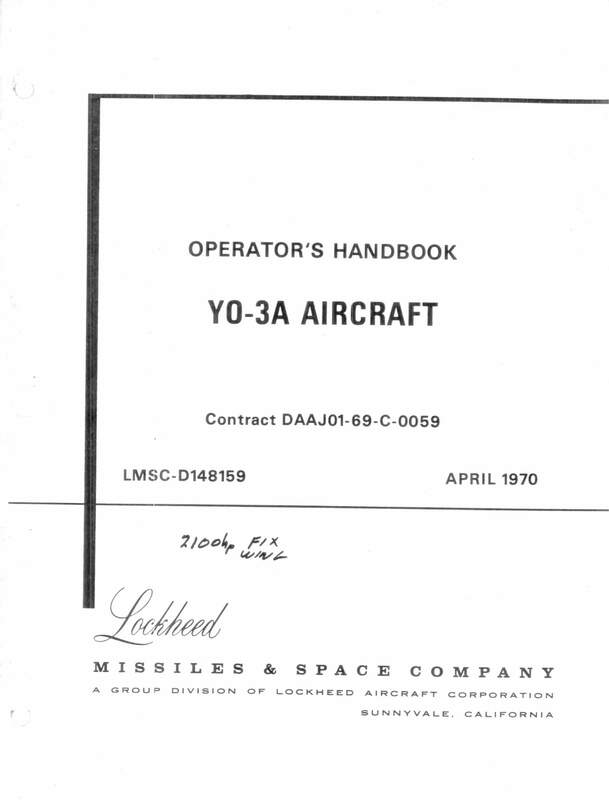 The QU-22B has been scanned from the original flight manual and retains any colour pages, and the YO-3A has been scanned from a good quality copy.